Leave us your name, before your immediate download. CSIL, leading Italian independent research centre headquartered in Milan (www.csilmilano.com), will participate in the 38th edition of CIFF, China International Furniture Fair (www.ciff-sh.com), to be held in Shanghai on 7-10 September 2016 at the National Exhibition & Convention Center (NECC) in Hongqiao, and will present the main evidences of its research activities during two events: the Global Office Furniture Outlook forum and the World Furniture Outlook seminar. The 7th edition of GOFO, Global Office Furniture Outlook forum (http://officefurniture.fairwindow.com) organized by CIFF and Edimotion, will be held on September 8th at the presence of international professionals and journalists of the office furniture sector debating matters regarding workplaces. This year focus “Happy workplaces help companies perfom better” concerns the increase of company productivity through personal satisfaction. Key concepts of the improvement in company production performances are the optimization of the processes, the so called “smart office” and new trends in the workplace design. Mauro Spinelli, researcher and partner of CSIL, key speaker of the event, will introduce an overview of the office furniture sector worldwide with market data and forecasts for the coming years. 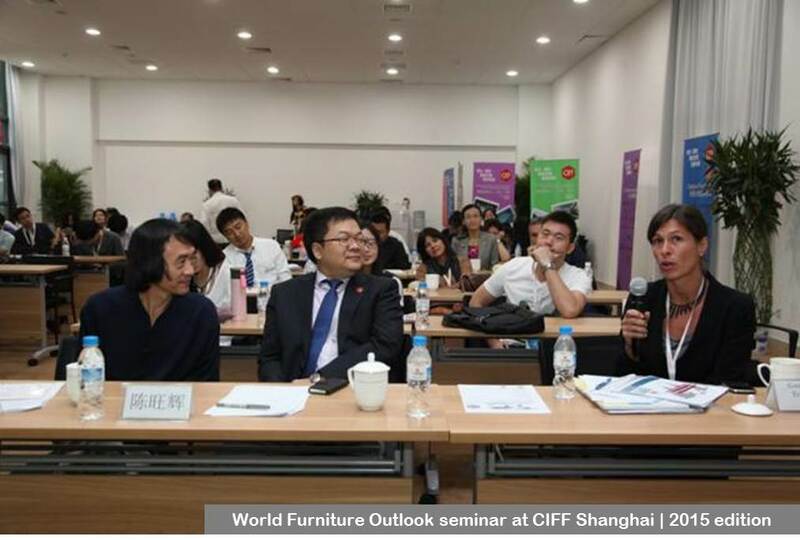 On September 9th, CSIL, in cooperation with CIFF and Edimotion, organizes the 3rd edition of the World Furniture Outlook, a Seminar which boasts the presence of qualified speakers from different countries sharing their market knowledge with a wide group of attendees, including journalists and companies’ managers. The World Furniture Outlook Seminar is a unique opportunity to meet CSIL experts and to attend an overview of the world furniture market status and forecasts, with a focus on Asia, in order to identify market opportunities implementing effective strategies in the global furniture scenario. A panel of international institutional and corporate key speakers will comment on the current and expected developments in the furniture sector, providing insights, market conditions and trends in the main geographical areas for furniture consumption, particularly those ones, which are the target of Chinese exports. Together with the presentation of CSIL statistics made by Alessandra Tracogna, researcher and partner of the Centre for Industrial Studies in Milan, participants will attend the speeches of Kevin Castellani, publisher of Furniture Today, Patrizia Torelli, CEO at the Australian Furniture Association (AFA) and key testimonials from China.